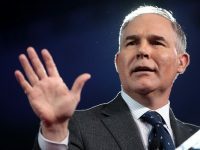 Leaders who teach and encourage their fellow man to change their ways and recognize how they affect the environment have been recognized by the White House in a ceremony last week. 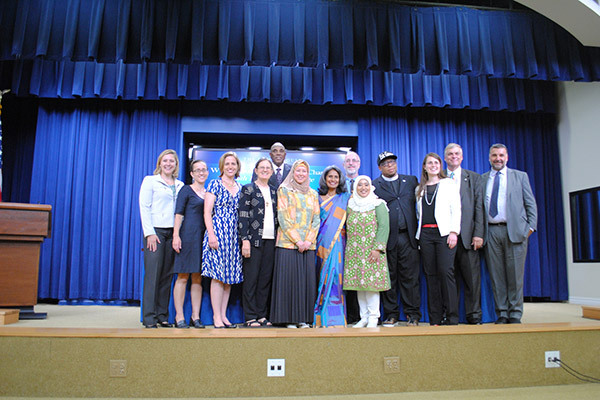 On Monday, July 20, the White House recognized 12 faith leaders across numerous religions as environmental leaders on climate change. These leaders have been known to teach and encourage their fellow man to change their ways and recognize how they affect the environment. 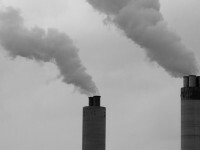 Gina McCarthy, the Environmental Protection Agency Administrator, said that they have taken on the important role they have as faith leaders. She said, “As the president and others, including the pope, have indicated, this really is a moral responsibility.” She went on to say that it is their efforts to “remind…and engage” people in the responsibility that everyone shares. Nana Firman worked for the World Wildlife Fund based in Indonesia, assisting in recovery efforts in 2004 following the devastating tsunami and earthquake. In addition, she coordinates Our Voices in Muslim outreach. The program encourages people around the world of all faiths to take climate change actions. She worked with Islamic Society of North America to encourage the Green Ramadan Initiative, which reduced food waste and Styrofoam. Viswanath teaches Hindu environmental principles to others, promoting oneness, nonviolence and faith through caring for the environment. She is a board member of the Coalition of Progressive Hindus, Sadhana, as well as a cofounder of Women of Afghan Women. In addition, she has worked extensively with women and human rights. Morrow is a reverend from Lincoln, Nebraska. She is Nebraska Interfaith Power & Light’s executive director, and is credited with the “revitalization” of the nonprofit. In addition, she worked with the University of Nebraska’s school of Natural Resources. She spent five years as First-Plymouth Congregational Church’s minister of sustainability, however she left that position for the School of Natural Resources. He created the first zero-waste synagogue, where is leads the Congregation in Bonai Shalom of Boulder, Colorado. In addition, Soloway is the board member of a Jewish outdoor group called Ramah in the Rockies, as well as the creator of the community initiative that supports locally grown foods in Boulder. Sister Brown has a major role in the New Mexico Interfaith Power & Light as the executive director. She has actively worked across the scale, from minor to large, within the nonprofit group. As a leader in the Young Evangelicals for Climate Change, she has impacted youths across the US and within the Democratic Republic of Congo in college campuses. In fact, she has developed numerous practices that promote adapting to the change in climate. In addition, she teaches Environmental Studies at the Au Sable Institute of Environmental Studies. Carmichael is the Executive Director for the National Religious Partnership for the Environment. Carolan led the way for the Catholics for the People’s Climate March, as well as assisted in organizing Catholics in the Our Voices campaign. Carolan cofounded the Global Catholic Climate Movement, and works with the Franciscan Action Network to collaborate between faiths and secular organizations alike. Lennox Yearwood Jr is the CEO and President of the Hip Hop Caucus, as well as a Church of God in Christ elder and community activist. He is the associate director for the Public Engagement at the White House Council on Environmental Quality. Alkaff actively works to ensure environmental justice to the world with the Islamic Environmental Group of Wisconsin, though it now goes by Wisconsin Green Muslims. He is the founder and director of the group, actively working towards environmental and climate justice. Beumer is a small business owner with the St. John Evangelical Lutheran Church. He used to be the Dean of Clark Atlanta University, as well as the director of Health Promotion Resource Center of the Morehouse School of Medicine and pastor with the Providence Missionary Baptist Church.